The social member is designed to allow our supporters and helpers join if they wish, so that they really feel part of the club. Their subs are low cost, because they contribute to the club in other ways. Whilst we accept members under 16 years of age, if they want to ride with us on a club run, we require them to be accompanied by their parent or guardian. As a new club we don’t have a welfare officer or youth development officer, which means we do not have someone who would be guaranteed to guide or chaperone a young rider. In an ideal world, the youth would be accompanied by their parent or guardian, who would also join the club and enjoy the benefits of membership. 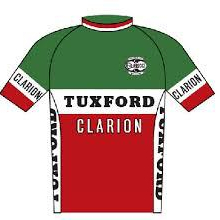 Please note – If you plan to race and want to help the Tuxford Clarion win team events, make sure you tell us that you are ‘first claim’ Tuxford.